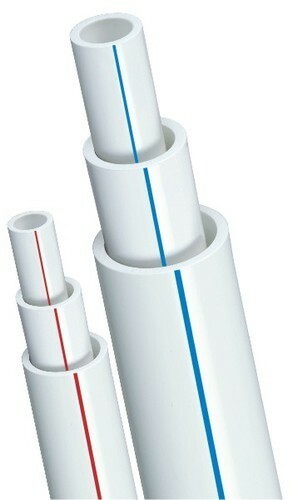 We specialize in supplying a wide range of Size 1/2" TO 2" UPVC Pipes. These are widely demanded by clients owing to its supreme quality, optimum functionality, durable performance and robustness. One can avail these UPVC Pipes in various cross-sections, sizes, lengths and thickness as per their precise demands. besides, demands of these UPVC Pipes are increasing day by day owing to its leakage proof quality. •Leak proof distribution system for water as well as a numerous number of chemicals like strong minerals and acids. •Smoother (inside) surface as compare to the alternate products to reduce the frictional losses. •Offers a reliable piping system which is highly resilient, tough & durable with excellent impact & burst. •Strength yet flexible enough to withstand external shocks which are absorbed unlike the other more rigid material. 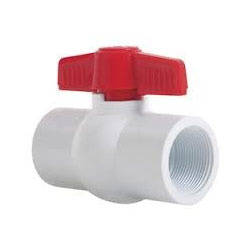 Our area skill has empowered us to accompany an accuracy built scope of UPVC Ball Valve. The items have a fitting office with the goal that these can be effortlessly fitted to pipes. Further, these are widely utilized as a part of funnel lines, refineries and petrochemical businesses. Accomplished experts contracted by us make these items in exact measurements after set industry measures and standards. Besides, we tweak these items on the premise of determinations nitty gritty by our regarded customers.